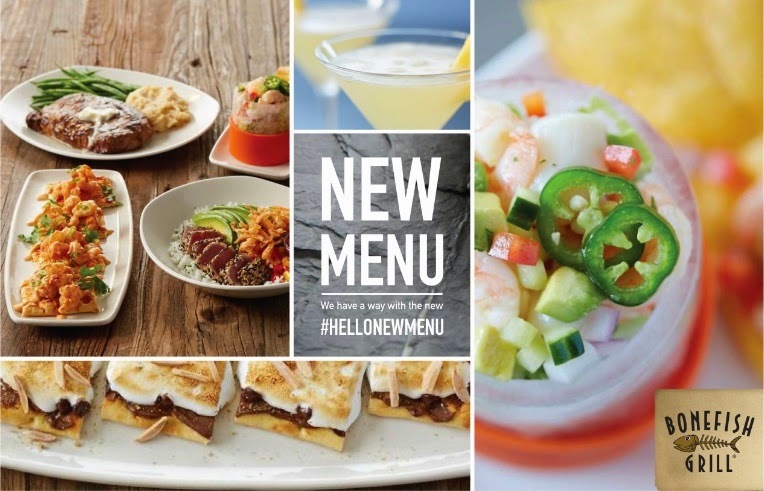 Bonefish Grill has a NEW menu!! I know what your thinking their menu was already good right... Well let me tell you that the new menu features are great additions! The Bonefish Grill has added some new starters and sharing, soups and greens, hand helds, bowls, wood grilled fish, wood grilled steak and chops, sauteed and baked, sides, desserts and drinks. 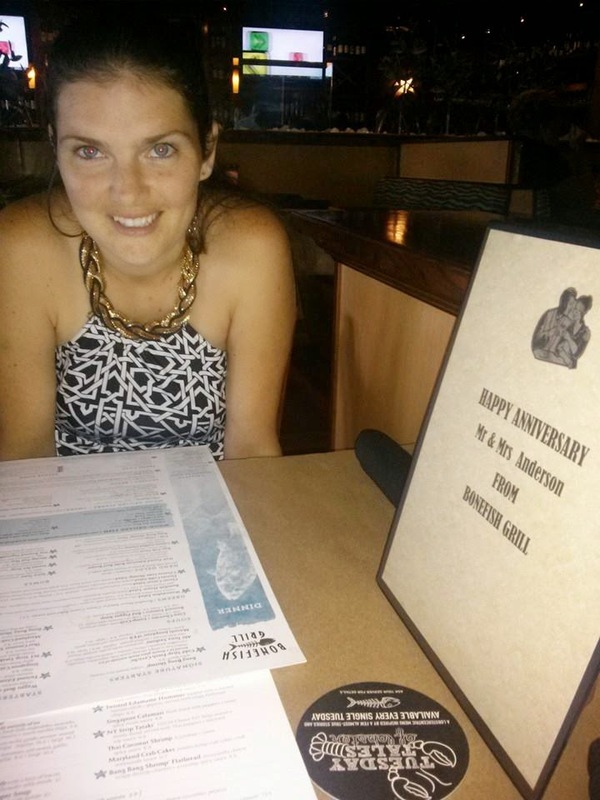 Since Jake and I were celebrating our year wedding anniversary on July 30th we decided to go to the Bonefish Grill and try out the new menu. Jake wanted to stick with his usual steak but got the new Poricni Sage Butter for his steak. The butter gave the steak a extra wonderful flavor and I would recommend it anyone who wants to give their steak just a little dash of extra flavor. I got the new Spring Basil Fettuccine and had grilled chicken added to it. You have the choice to add grilled chicken, grilled shrimp or grilled salmon to this wonderful pasta dish. This pasta would be just as good without meat if you are not a big meat eater. The Spring Basil Fettuccine is a artichoke pesto, asparagus, peppers, tomatoes, white wine cream sauce and Parmesan cheese. 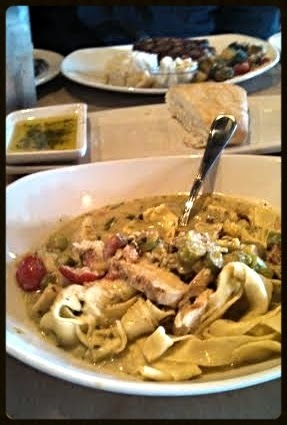 This pasta is my new favorite at the Bonefish Grill! Have you tried the new menu at the Bonefish Grill if so what was your favorite new item? If you haven't tried it what new item on the menu sounds good to you? I've never been to a Bonefish before, but there was one in Annapolis next to where we went to dinner tonight. I told Fred I want to go there next time we go out to dinner. He loves going there. I've been hearing a LOT about this place and we have one near by, but we've never been. I am wanting to try it out now. Love your pic by the way, you look so cute!